The Scottsdale Artists’ School is dedicated to artistic enrichment of the community and to developing the capabilities of artists and aspiring artists of all ages by teaching the applied fundamentals of fine art. 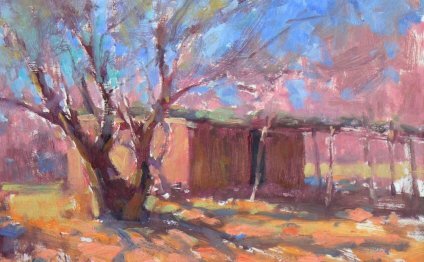 Scottsdale Artists’ School (SAS) is a 501(c)(3) nonprofit organization. SAS is committed to providing an environment that is free from discrimination in all phases of its operation and opportunity because of race, color, religion, creed, national origin, ancestry, disability, gender, sexual orientation, or age. Upon request, accommodation will be provided to allow individuals with disabilities to participate in all School services, programs and activities.